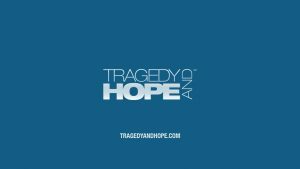 11/7/17 Tragedy and Hope, with Meria and Richard Grove. Stop watching the “news”;think optimistically;News analyst – I do it for you;How to learn; the 5 W’s; media drives public emotion; the institutions in place since you were born that you don’t know about;”Working Class Hero” – the murder of John Lennon;Princess Diana;look deeper than the official “story”; JFK papers; how the US govt is tied into the British Empire;the Dulles brothers;Cecil Rhodes and the Rothschilds;bringing the US back into the British empire;Rhodes was the Hitler of Africa;the Balfour declaration and the Rothschilds;the civil war and the Rothschilds; Lincoln’s assassination;Simon Wolfe and John Wilkes Booth;evaluate the importance of the “news” to your life; entrepreneurship and Richards guide; basic learning skills and more. Donate to Richards book & documentary here! One Response to "Tragedy and Hope, with Meria and Richard Grove"